Do we know that The Thumpmonks released the Parased Sky record to balance the Submachine Soundtrack out? I found it rather odd that, that would be the case. The Thumpmonks have released so many yet unknown records. Did they post that themselves? I am fairly certain (but no one can check now, of course) that on their old site they did say something along those lines. Have you tried the W A Y B A C K M A C H I N E ? I believe the classic stock photo thumpmonks website isn't archived... Oh well. So it appears I'm slightly mistaken. That description is there, but I guess it's not in a context that suggests Parsed Sky is actually connected to Noir Selections. More just a plug; there's no Submachine connection. Yeah, it seems like we're going to move those at least to their location pages as well as on the dev section of the SubVerse page. A good place to start is creating a gallery on the location pages if there isn't already one there. I do not understand why you insist that they need to be moved specifically. Like, why are you so against of having the same image on two pages? Obviously development images should be on the Subverse page and the location pages (that already makes two times), but why artificially isolate Mateusz's Submachine fanart out of the fanart he later used for something else? 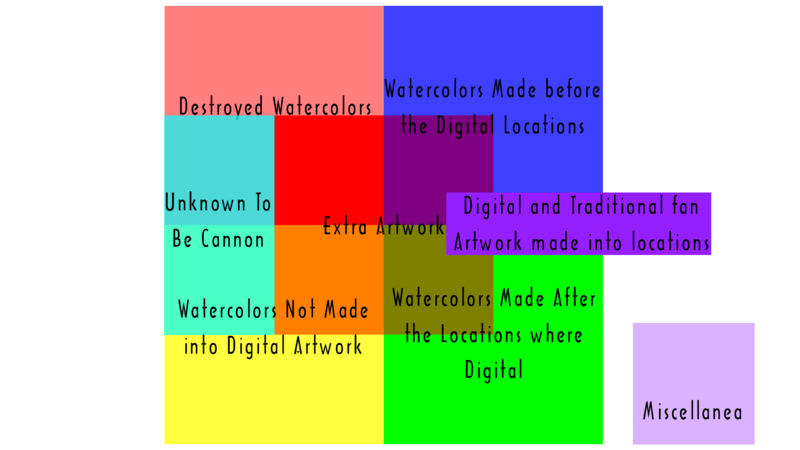 ''Mateusz's Submachine fanart'' That statement isn't wrong but it conflicts with what it is, it are neat watercolors made for or after the locations. I think it is fine to add it there and I have not yet received objections about this from the wiki mods. Like, why are you so against of having the same image on two pages? but why artificially isolate Mateusz's Submachine fanart out of the fanart he later used for something else? I should point out that I wasn't the one that decided to cut and paste the images to the different pages. I'm trying to personally get straight in my head whether I think the extra artwork page should be on the Wiki at all. As you and I discussed, the artwork isn't canon to the games; we shouldn't automatically view what Mat draws or paints to be "part of the lore" or otherwise in a position where it affects the stuff present in the games. In that case, should it be part of the Wiki? If we're getting rid of walkthroughs and theories on the basis that they're not canon, then should extra artwork be kept off? Or does that stay because it's the developer that made it? I mean, you said yourself that it's still fanart. And then, if we do decide that it's okay to have it, do we need all of it? Do we just say that the page is for "any art that Mat draws or makes that relates to Submachine"? Is it okay to have developed watercolor pieces that were later turned into locations on the same page as sketches that were later torn up and discarded, or a picture of Blaki looking at a URD and a key? If Mat draws a Patreon reward for someone and doesn't tell us, but they decide to post it to Twitter and someone grabs a screenshot, does that get included too? I feel like a line needs to be drawn somewhere. So why I'm currently not fully against the cut-and-paste method Ko9 did: The pictures that have been moved were later used in locations and therefore have a more significant importance than the other pictures because they became part of an official development process. With my current view of what the Wiki should contain, they're in places that fit. I'm not sure about what the extra artwork page really is defined to be, so if they have a place somewhere else, no reason to keep them on a page we're debating about.